Click on the FREE Trial button below and enter your Promo Code to test drive YourScore for 30 days! How do your mailings measure against USPS thresholds? Many mailers do not check their Mailer Scorecard often because it’s a cumbersome process. Additionally, the data is not easy to read or find potential issues. More detailed data than you can get from the Business Customer Gateway! YourScore effortlessly monitors the health of your Mailer Scorecard. YourScore is a unique service, designed and delivered exclusively by Window Book for the Mailing community. Detailed reports by Mail Owner help you pinpoint the source of warnings and errors – more detailed data than you can get from the Business Customer Gateway! 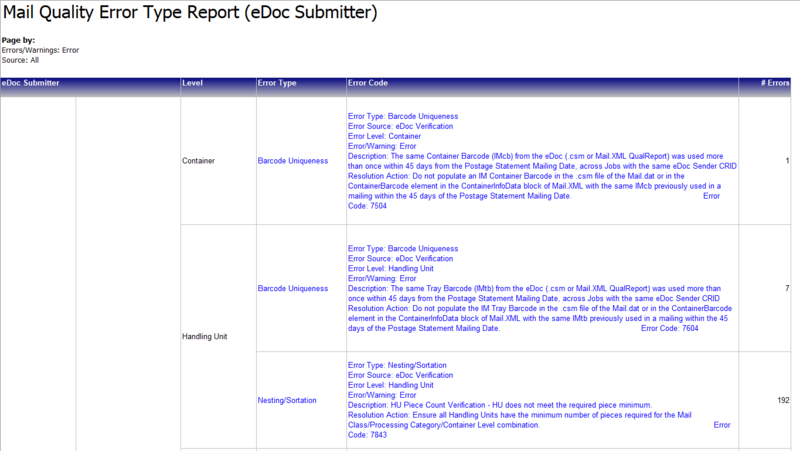 Some sample reports are shown below. Click Here for detailed information regarding all available reports. Avoid penalties and improve your mailing processes. The cost of being surprised by a failing Mailer Scorecard (exceeding USPS established thresholds), can significantly affect your bottom line. YourScore transforms data into a gold mine of information to help you save you time, money, and improve your service. Let Window Book do the work for you. Having to remember to frequently log in to the Business Customer Gateway to check your mailer scorecard is a high-risk proposition. Fortunately, YourScore provides a daily email with your Mailer Scorecard data! There is no need to remember! Take advantage of our experienced Professional Services Team to assist in troubleshooting the root causes of any areas at risk of exceeding the established USPS thresholds. For sales inquiries or requesting a quote, email sales@windowbook.com or call 800-524-0380. We also offer demos of our products.